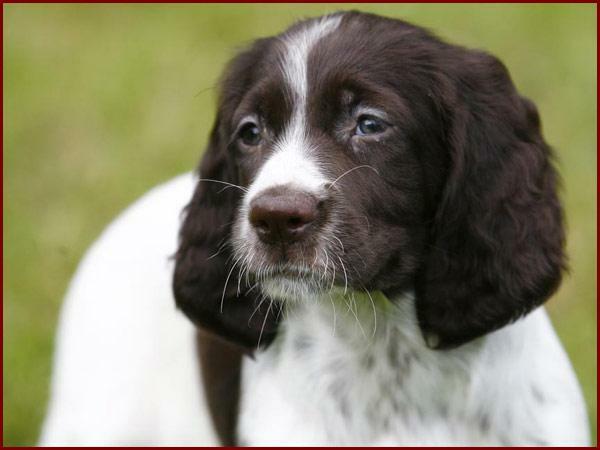 The Club of the French Spaniel works in Quebec, since 1978, with the improvement of utility qualities and the general type of this splendid general-purpose family and pointer which is the French spaniel. It is in this spirit that the club put on line this website to realize, in the long term, it's essential mission in comparison of the improvement and the promotion of the race. e) and has the potential to become an exceptional hunting companion. 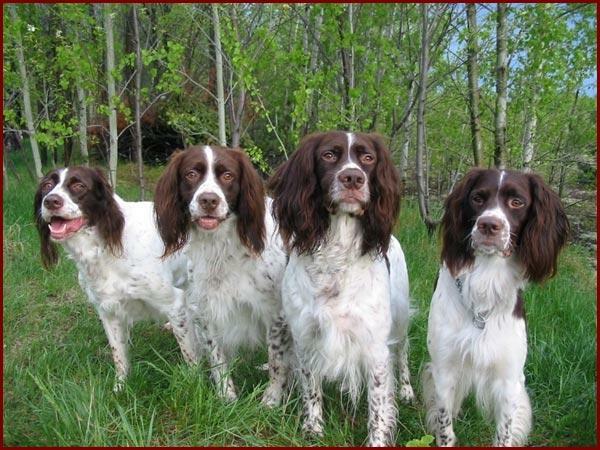 You will find the list of these French spaniels in the heading “Honor roll” of this website. It is on July 16th, 1978 that the first friendly gathering in Napierreville was organized and who joined together about fifteen spaniels. From 1978 to 1985, the role of our association was dedicated to the compilation of a register of breeding in order to make recognize the race near the Canadian Kennel Club and which was obtained in 1985. Since the club endeavoured to bring together amateurs of the race who devote themselves to the maintenance of a standard of conformation and of work which make to our French spaniel a marvellous family dog and if you drive out, an exceptional general-purpose pointer. From May to September, the members have access to the installations of a splendid ground located at St-Jean-of-Matha where they profit from the experiment of senior monitors which guide them in the handling of their companion in conformation, obedience or in hunting. A capital is installed there permanently for a family picnic or exchanges between amateurs. Moreover, marked out paths are arranged to take steps in full nature with our French spaniel. Each year, many activities are organized which bring together the members and their family in a convivial environment where reigns the sportsmanship and frank friendship. Published every two months the electronic newspaper inform on various subjects relating to the life of the club, the French spaniel and the cynophile field in general. 1) Maintenance of register (data bank) which contributes to make better choices of parents for the couplings. 2) Training seminars concerning the breeding. 3) Maintenance of a website for the promotion of the race, the announcement of the ranges and the honor roll which gives access to the information cards of the French spaniels which obtained their “Certificate of confirmation. These cards inform on the repertoire of the titles that they obtained. Eukanuba is the official supplier of the club. We have with them many advantages whose our members can profit. As already mentioned the principal task of the club is the promotion and the maintenance of the characteristics which dissociated our spaniel of the other pointers and which do one of it the most snuffed of by the hunters of small game, without forgetting, which our spaniel by its calm and its well balanced temperament is a marvellous family dog.